That morning had been a rough morning. Just 6 weeks along and I was already in the throes of intense morning sickness. My breakfast definitely did not look any more appealing after being regurgitated into the toilet. 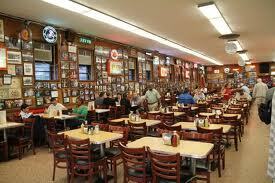 We were supposed to meet at Katz’s Deli on Houston. As I walked along the New York City streets, the stench which I thought I had grown immune to, built in my nostrils to the point where I had to stop several times to compose myself, lest risk making the contaminated streets so much more so. After being jostled around by the crowds I had learned to zig zag through, I finally reached my destination. There was a table in the back occupied by a bum, covered in filth, lucky enough to have secured enough income from a hard night begging on the streets to afford himself the warmth of a table with endless coffee refills. I knew it was only a matter of time until the manager would throw him out. It was hard to say whether it was the stench of urine and body odor coming off the bum, or the smell of boiled cabbage coming from the kitchen that, once again, almost sent me reeling into the bathroom, but luckily I was able to get myself to the table with little incident. As usual he was smiling, always obnoxiously positive. My speech started running through my head; what I would say, how I would say it. My pregnancy. How I had love for him and wanted him to be a part of the baby’s life, but I was not in love with him. I wanted to raise this baby on my own. It was 1970 after all, and more and more women were taking control of their own destinies. My mother might disapprove but after the baby was born she would come around. After all, didn’t I owe this baby a happy life? 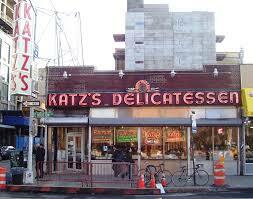 It seemed Katz’s only had one portion size; incredibly large. Just as I was approaching, the waitress placed down a mammoth piece of their famous cheesecake on my setting. Under any other circumstances I would have been immensely pleased. This was, after all, my favorite. I could see the confused look on his face when I did not immediately dig in and I could tell my deviant behavior could lead to a string of questions which would throw me off my guard, ruin my carefully rehearsed speech, and possibly make me lose my nerve completely. Ah, it might not be so bad. I took a bite. That’s when I discerned, in the confines of the rich sweet taste of whipped cream that I had so grown to love over the years, the unmistakable taste of metal. I could detect the circular form as the heavy sweetness melted in my mouth. I rushed to the bathroom as quickly as I could.